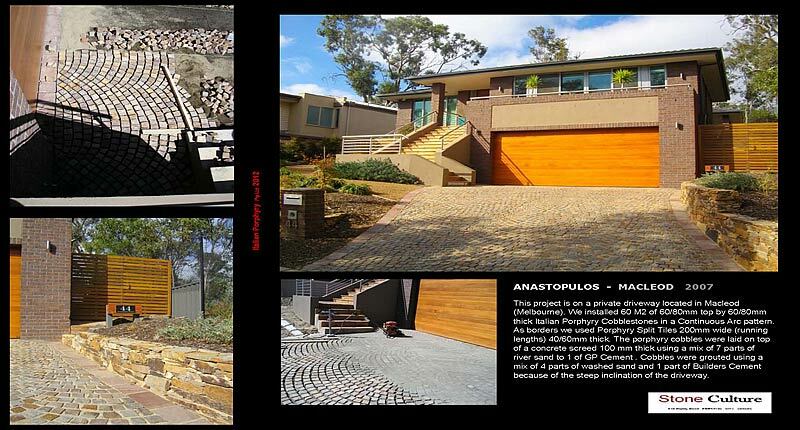 This project is on a private driveway located in Macleod (Melbourne). The porphyry cobbles were laid on top of a concrete screed 100 mm thick using a mix of 7 parts of river sand to 1 of GP Cement. Cobbles were grouted using a mix of 4 parts of washed sand and 1 part of Builders Cement because of the steep inclination of the driveway.